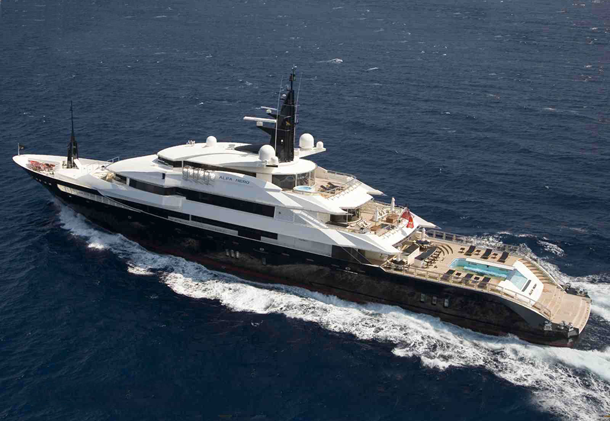 Coming with novelties like a fireplace and a library, as amazing as this yacht is it’s absolutely nothing compared to the rest of this list. 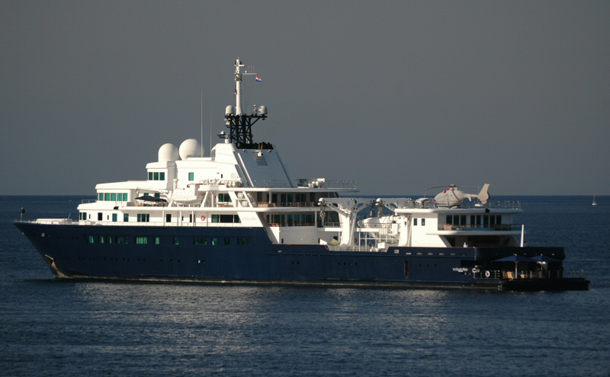 The first of what seems like an entire fleet owned by Russian billionaire Roman Abromavich, the Grand Bleu is actually one of the more modest yachts on this list. 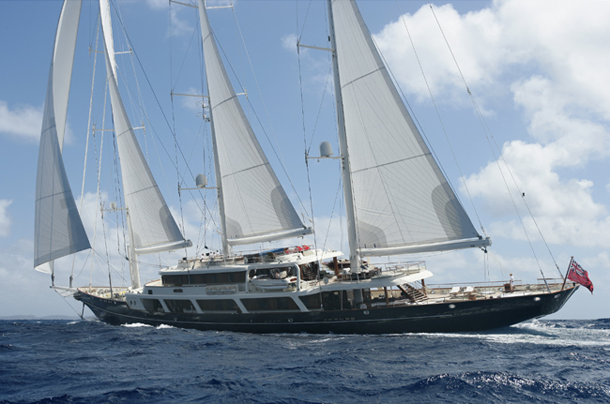 With 15 staterooms this megayacht can easily hold over 50 people not including the crew. 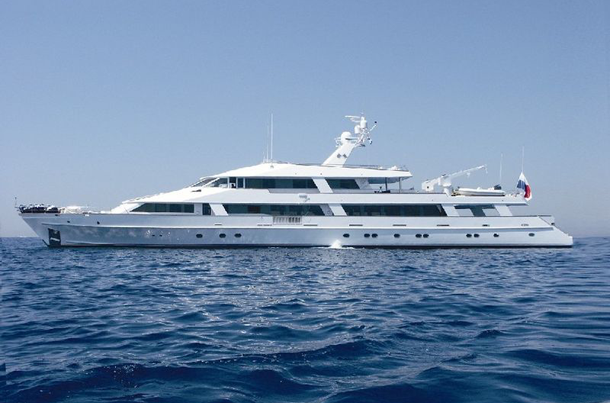 The prized possession of Greek businessman Andreas Liveras, this yacht comes with a number of toys including private decks and an outdoor jacuzzi. 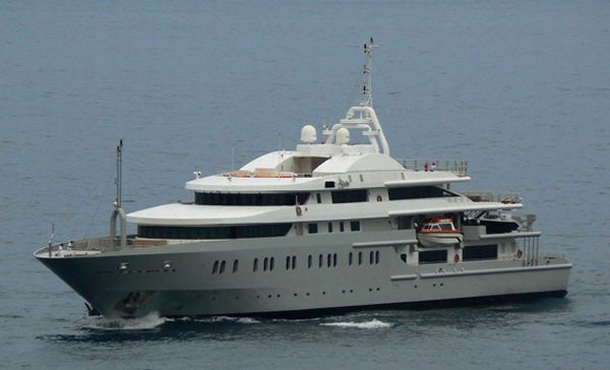 This isn’t the first yacht on this list owned by an undisclosed billionaire (this time from Hong Kong), but it is a good bit cheaper than the rest. 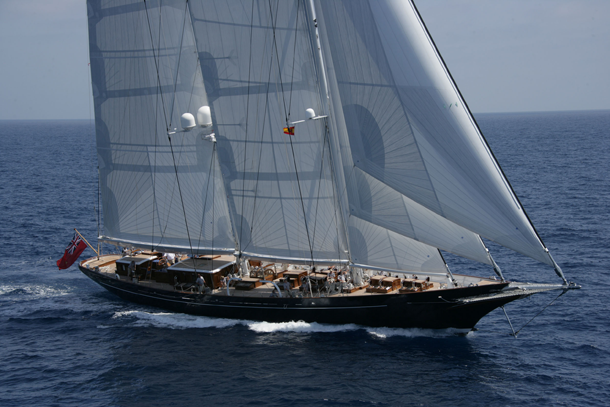 With 5 staterooms and a submarine this sailing yacht owned by Elena Ambrosiadu of IKOS asset management in London is the largest in the world. 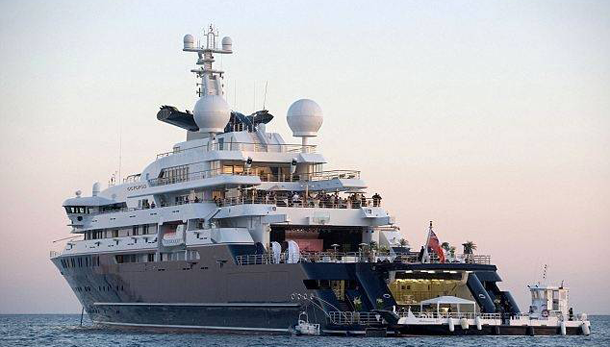 According to the rumors, a majority of the bodyguards on Roman Abromavich’s (the Russian Billionaire) yacht are former British Special Forces. 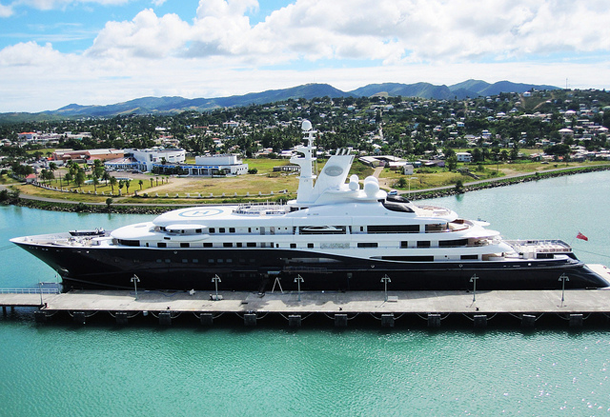 This yacht owned by Diane von Furstenber, the famous fashion designer, allegedly features an enormous sculpture herself on the deck…vanity level 1000. 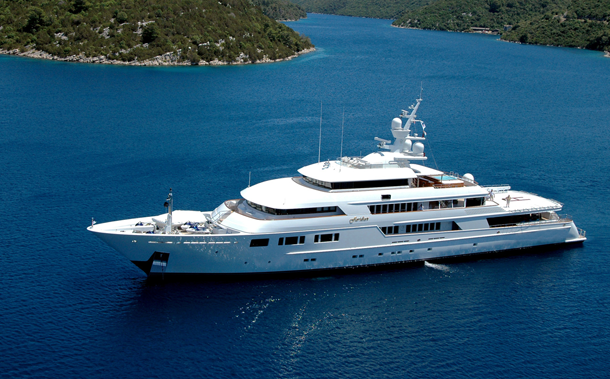 Originally built by Fincanteri, the Italian shipping yard, this megayacht comes with swimming pools, a spa, and a designated business area. 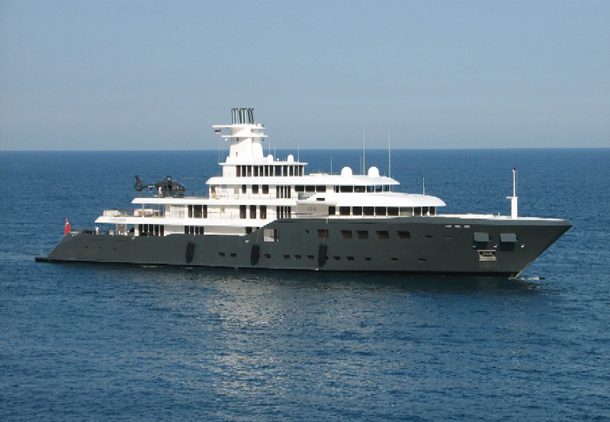 Evidently running a global software company requires more than just one measly yacht. 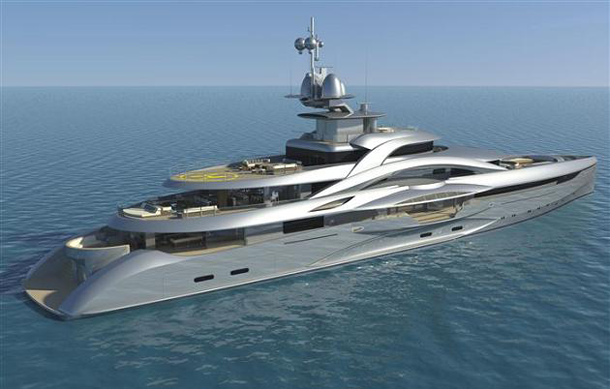 This time Paul Allen is back with the Octopus, a megayacht equipped with not one but two submarines. 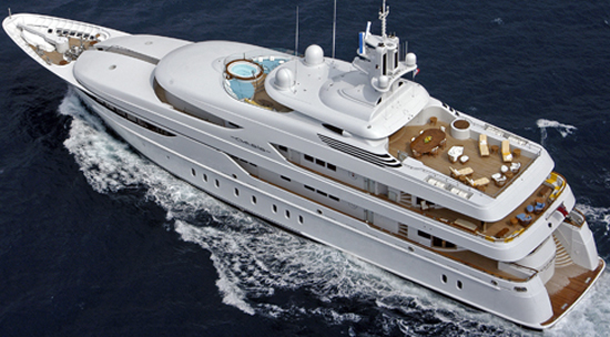 The only thing cooler than this yachts name is the fact that no one knows who owns it. 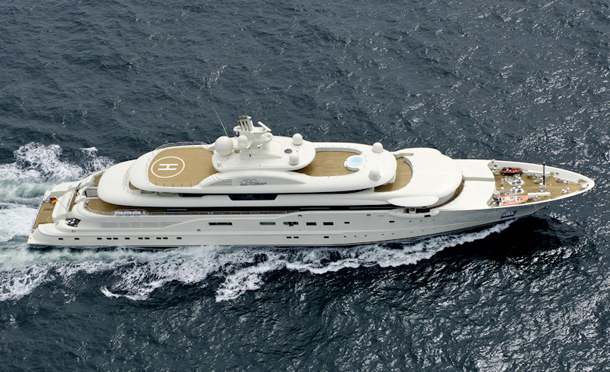 While it was formerly in the hands of Roman Abramovich, it has been sold to an undisclosed buyer. 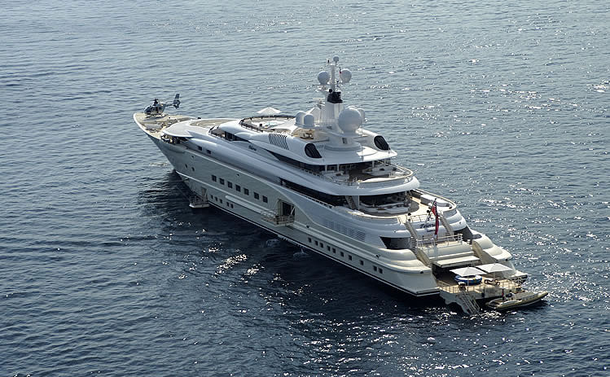 Late Saudi Arabian defense minister Prince Sultan bin Abdul Aziz really upped the ante when he included an indoor pool with a glass roof on this megayacht. 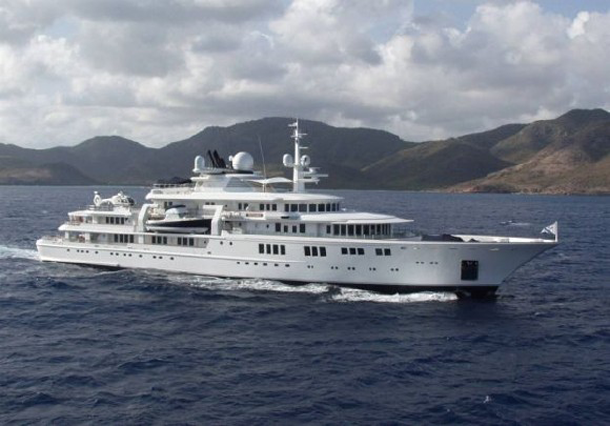 With 82 rooms, a basketball court, and a movie theater David Geffen, the famous media mogul, barely needs to leave his ship. 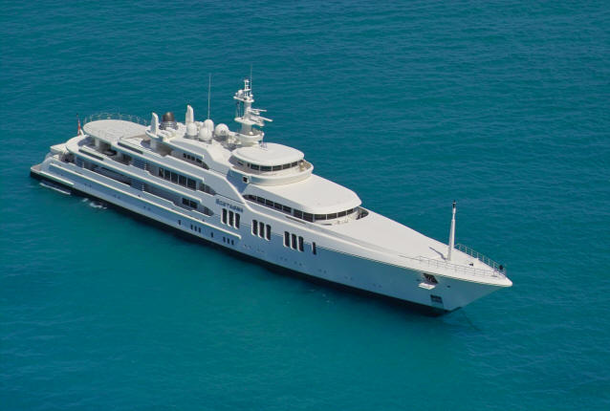 Allegedly belonging to Steven Spielberg, it wouldn’t be much of a surprise as this yacht is equipped with a an infinity pool whose walls double as a movie screen. Belonging to Russian billionaire, Suleiman Kerimov, the Ice is one of the greenest yachts on the water with 8 electric generators and a built-in wastewater management system. Nasser al-Rashid, advisor to the Saudi royal family, takes things to a whole new level with his onboard beach. 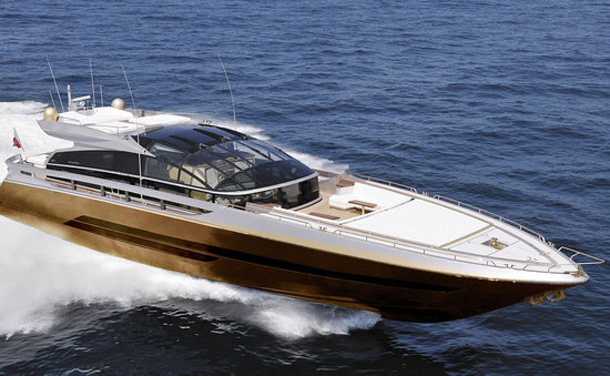 The yacht comes with a sand-covered hydraulic platform that can be adjusted to sit right at the waterline. 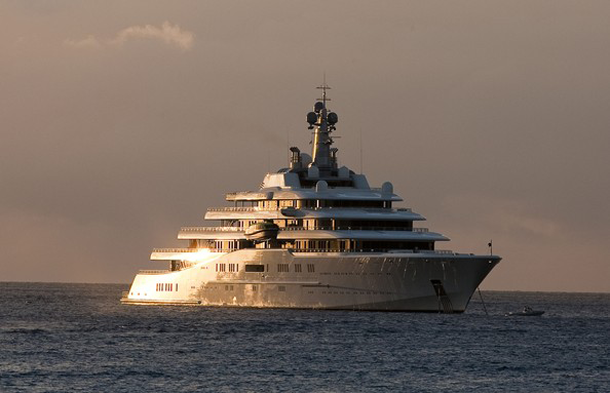 You know what they say about people with big names…big yachts. 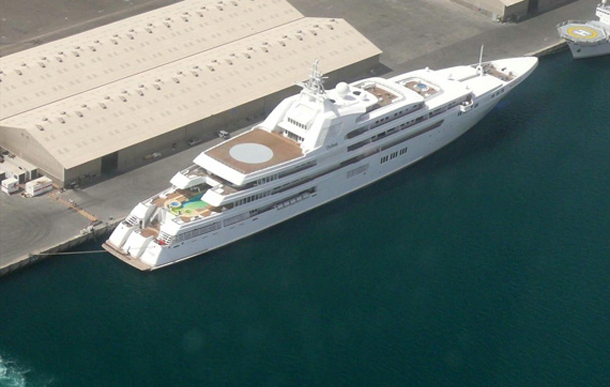 Sheikh Hamad bin Jassim bin Jaber Al-Thani, former Prime Minister of Qatar, owns this quarter billion dollar monster. 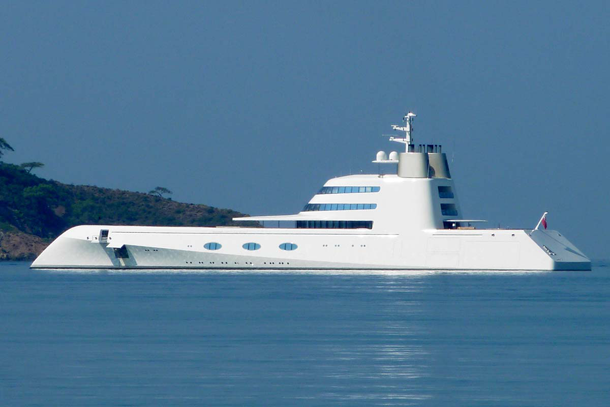 Owned by yet another Russian mafioso *ahem* sorry, businessman, this yacht is often used by Alisher Usmanov to pay visits to his private islands. 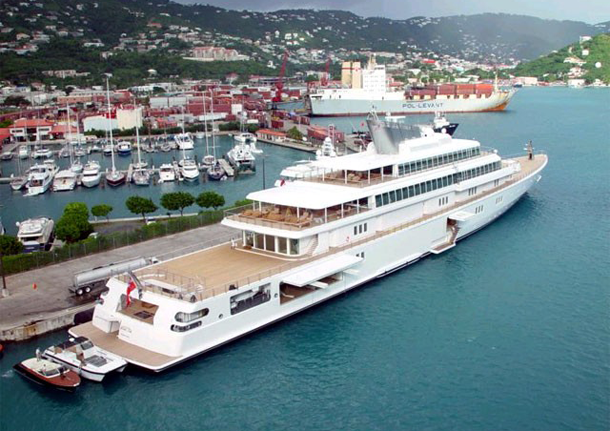 Not much is known about one of the most private yachts in the world except that it’s owned by Said al Said, the Sultan of Oman, and that it has a concert hall big enough to house a 50 piece orchestra. 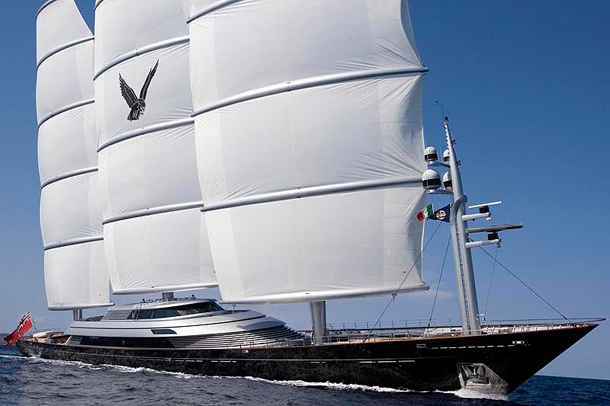 When you are Russian billionaire Andrey Melnichenko you can name your yacht whatever you want, including your first initial. And just in case you were wondering about the interesting design, it’s so that he can cut through ice bergs like a boss. Owned by Shiek Mohammed bin Rashid Al Maktoum, the Prime Minister of the United Arab Emirates, this floating city is appropriately named. It’s essentially an entire country on a boat. 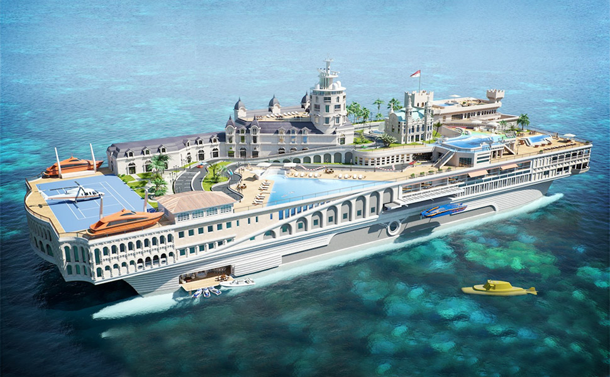 Complete with roads, mini cars, and even an “airport”, Nigel Gee’s floating city is in a league of its own. 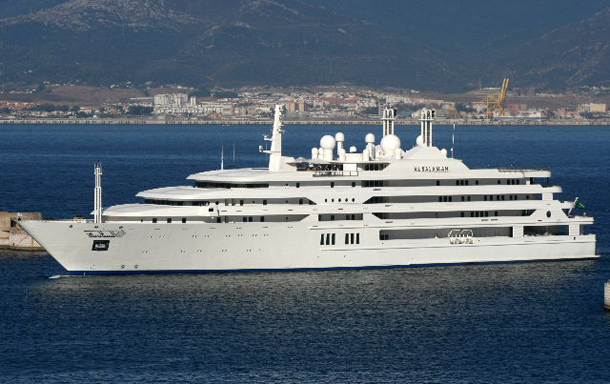 Going back to pay our friend Roman Abromavich a visit we might find him aboard his nearly billion dollar mega yacht, the Eclipse. We’re still not really sure what sets it apart more though – the anti-missile defense system or the paparazzi zapping laser that scans the horizon for cameras and fires beams of light into their lenses destroying them completely. It almost hurts doesn’t it? Made with over 100,000 kg of gold and decorated with everything from T-Rex bones to miniature meteorites this unfortunate case of what-the-heck-do-I-do-with-5-billion-dollars is owned by an anonymous Malaysian businessman, probably Robert Kuok.